Hello everyone ! We have always want to listen very famous Pandora-the internet radio, watching our favorite shows on Netflix, or watch animal planet online. You guys think we can use proxy sites and VPNs for it. But mostly they are paid services and they all have limitations like ads, time limitation and slow speed issues. So here is unlocator, a premium hassle free service. I have mentioned all the perks of this service. Ability to change location as per your need. Now you guys might be curious that how this service will work? 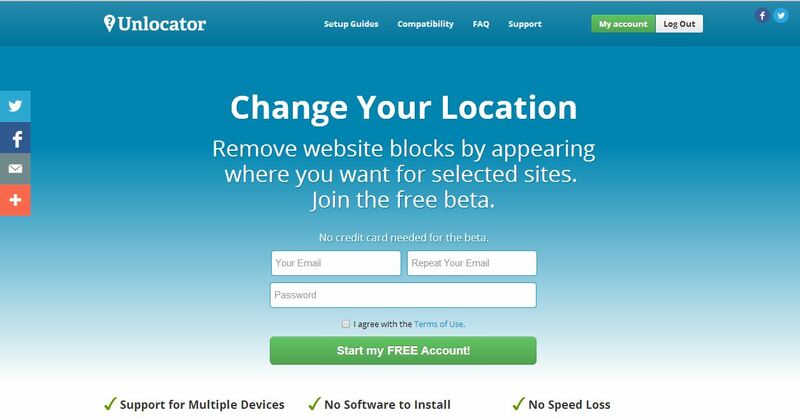 Then, Unlocator is a service that hides your location from certain geographic location services used by ad networks and other services to track your location. 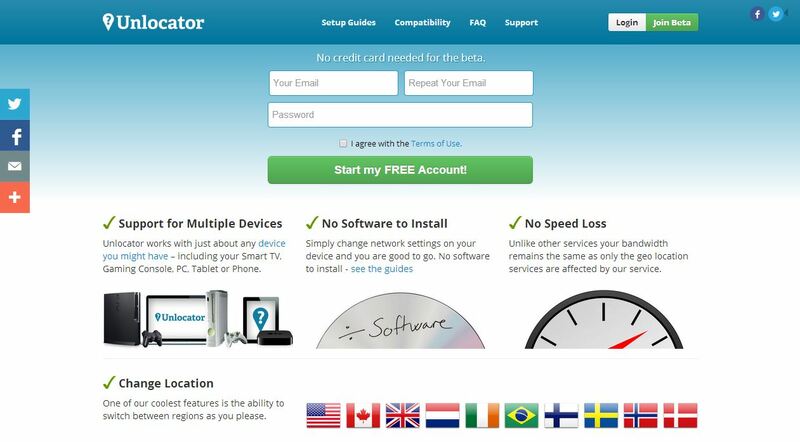 By using Unlocator you can protect your privacy by appearing to be located in one of supported regions by unlocator. In simple language you just have to change your DNS Server and you can alter your location as needed. Now how to use unlocator? 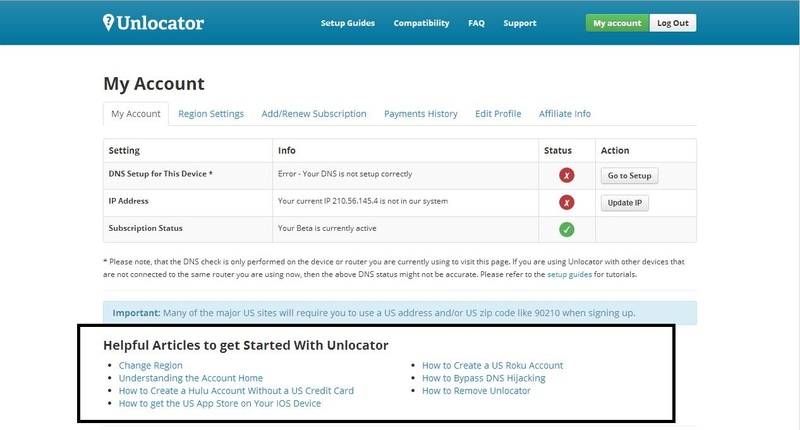 There is two methods of setting up unlocator. SINGLE DEVICES: This option includes PC, phones, media-players (apple TV, chromecast, Roku, boxee, western digital), gaming consoles such as play station 3, WII, Xbox 360, Xbox one, Play station 4, PS vita and also smart TVs. 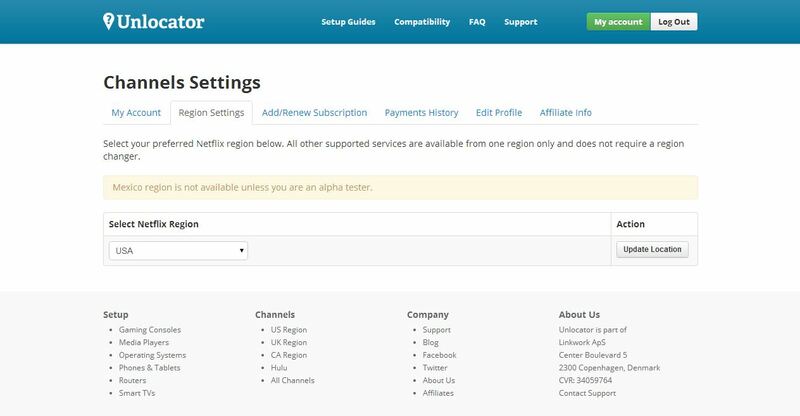 Log in to your account and it will show you option of “Update your IP” in unlocator database. So, update that IP. Then it will ask you to change your DNS server. On website there are setup guides for how to change DNS server for each device I mentioned here. And boom, you can access pandora, Netflix, and all the services you want to use without any speed lose and premium VPN services. 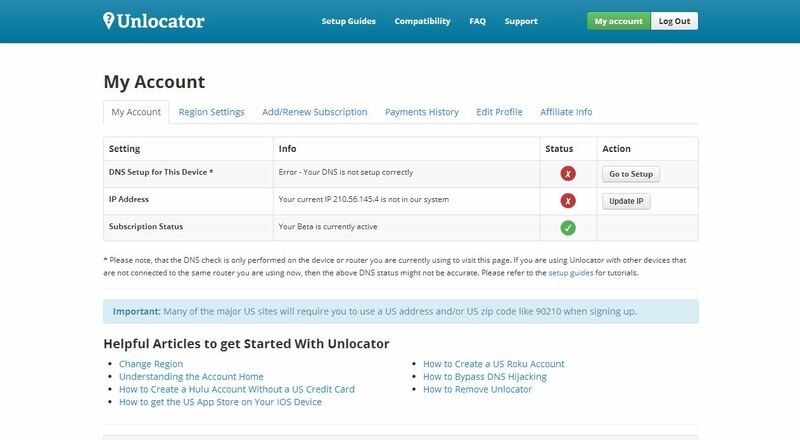 NOTE: In single device method, if your internet IP changes (and it will change time by time because all connection uses dynamic IP) then, you have to log in to your unlocator account and update your IP as shown in the above snapshot. Multiple devices: This option includes routers. So you only need to change DNS server of your router and devices connected to your router and simultaneously your router will use same settings and you will able to use all the services on all devices without setting up DNS servers on each devices. Please follow instructions on the below mentioned link to see setup guides for both options. This is very easy, you can do this within minutes. For some of our advance users there are some important guides you can check from your unlocator account. So why wait now? Use this premium service before it will become paid ! If you have got any doubt related to this tutorial please feel free to ask me through comments. I’ll be happy and glad to help you out for the same. Any kind of acknowledgements from your side will be entertained here. your welcome Corbin, thanks for valuable feedback. I think that the post is good, but you should increase the part which describes the benefits. This will attract more people! This site Unlocator works like a dream for me. I am using Chromecast but cant watch movies on Hulu. Hulu is my favourite site and now I can watch movies in India on Hulu because of unlocator. Thank you so much for this article. That’s a good review Ketan. I personally prefer UnoTelly. It’s similar to Unlocator but they offer a DNS server close to physical location and I can achieve better performance. Great article Ketan. The DNS option is better than using a VPN regarding content streaming because you can achieve direct connection with the media station ex. Netflix and avoid the “middle-man”. Personally, I am using UnoTelly which is similar to Unlocator. Perhaps you should check UnoTelly as well if you haven’t done so. That’s a good article . I personally prefer UnoTelly. It’s similar to Unlocator but they offer a DNS server close to physical location and I can achieve better performance. Nice article and nice explanation. I am located in Germany and with this tool I can watch and record shows on Hulu online. It is 5 bugs a month now by the way. I think it is worth it.